Is ready to use immediately,without the installation of additional software and drivers. 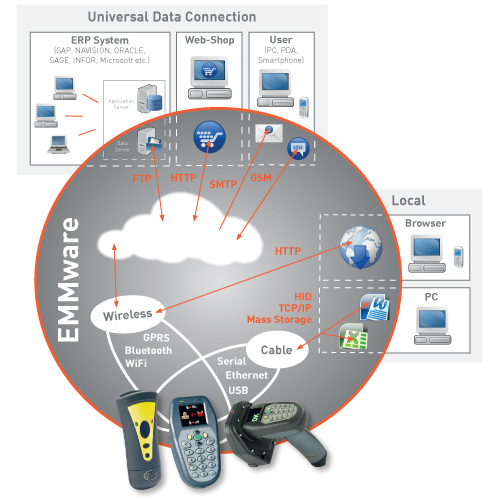 EMMware connects each target system via all wireless or cable interfaces. With EMMware, the device software can be updated automatically, without collecting the devices from the field. Software update is done while the device is connected to transfer collected data. Even the software update procedure does not require any user intervention. Once the EMMware detects a new update, it will automatically download the update and install it on the device.